New release is mainly a bugfix one. Two major bugs has been squashed. One is a non QWERTY keyboard support. For every one who is not using QWERTY setup, latest game features has been not accessible. This is now fixed and you should be able to play Dark Gates on any keyboard. Second major bug was affecting Windows version only, were some tiles had wrong names which end up in game crash if tile has been selected. Lastly, in this release Windows version has been shipped with debug console. If you still experiencing game crashes, please run Dark Gates from command line and debug console will show errors in event of sudden crash. Please report any problems to me. Game allows to save a progress of your adventure. You are able to do so if you are not in battle. When you decide to end current game session, press ESC and choose option "Save & quit" from menu. 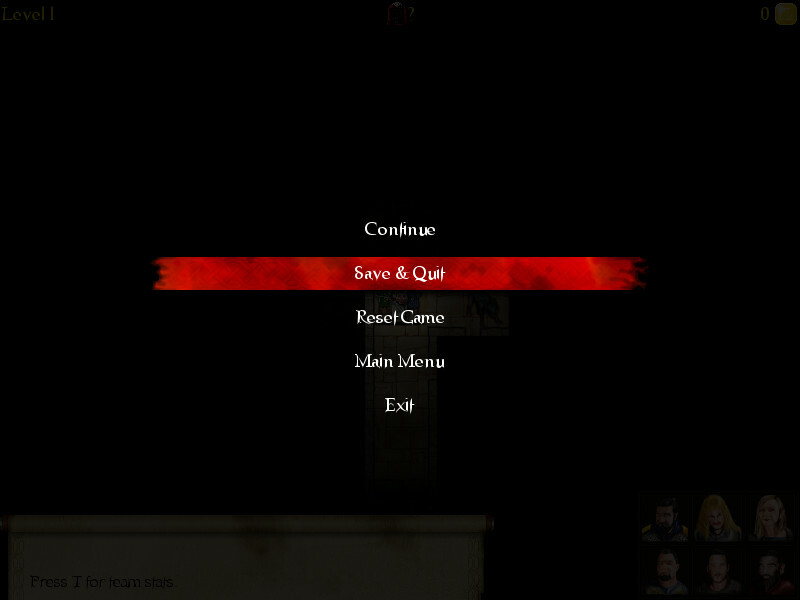 You will be greeted with save game menu, where you can save your game into one of four available slots. In order to return to your saved game, all you need is to choose "Continue" from main menu and load your saved game. Game will start from party selection menu, where you can upgrade and restock. 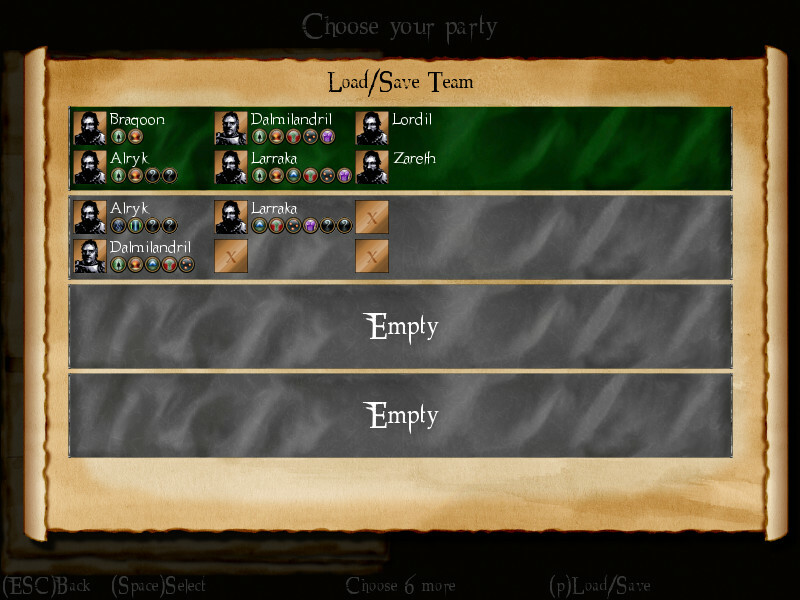 There is no obligation to have 6 party members after you loaded the game if you choose not to. After you are done with your party you can resume your game. When you re-enter the labyrinth all monster that has been befriended or bribed are hostile again. From release 0.3.1 heroes are able to earn experience points. With 0.4.0 release, they can be spend on upgrades. When you save your game and come back to it later, in party selection menu you can use your gold and experience points to improve heroes stats. First upgrade level start on 100 gold and 100 experience points per ability. Each hero can have maximum three upgrades per each ability. 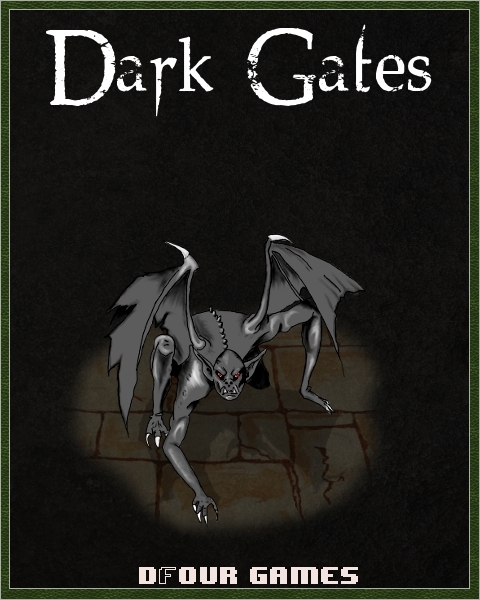 Dark Gates are now fully translated to French language, which has been done by Patrick David (Twitter @MrHyeron). Patrick did a fine job and hopefully we can expand our language files further. 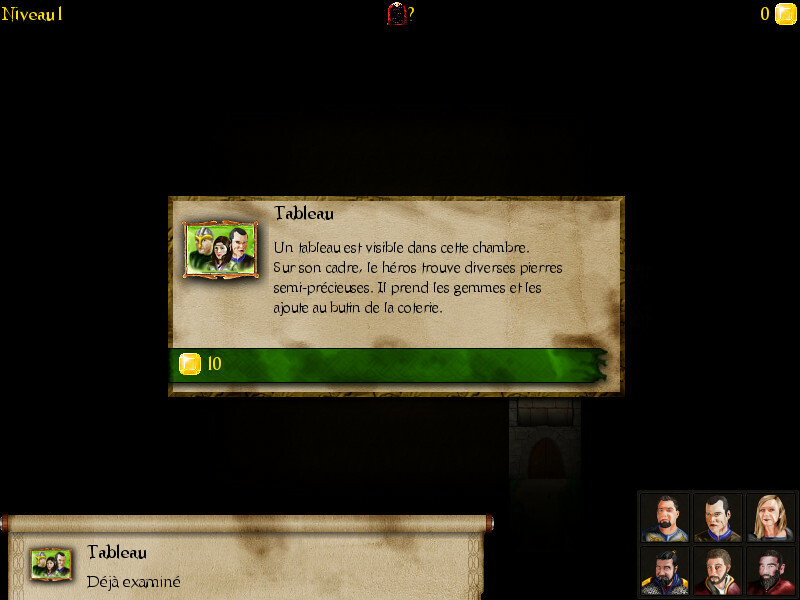 If you would like to see Dark Gates in your native language, please contact me on Desura, via dfourgames.com website, Facebook or Twitter. A new icon is now in the UI of the game. Dark Gates indicator is located in the top centre of the screen. When you find your first mirror, this icon will remind you on which level Dark Gates are situated. 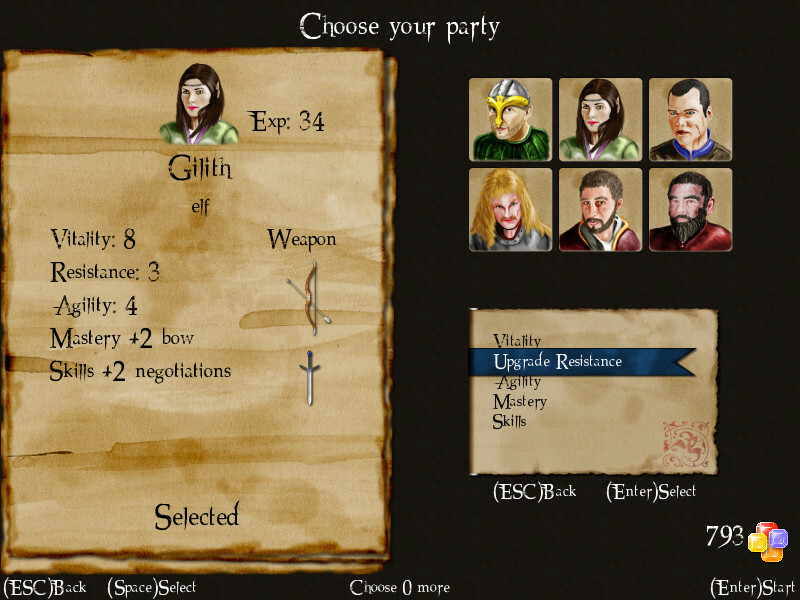 An additional confirmation screen has been added before entering the game, so now if you not entirely ready to enter the game, you can come back to party selection menu. If you are still reading and not purchased a game yet, then you are in luck. This April is the third anniversary of Dark Gates development. Game is only developed in my spare time and it came a long way. On this occasion till the end of April game is 30% off. I would like to give a massive thank you to John von Draugr (you know who you are). His support, advise and bug finding are just the thing that any indie dev could wish for. As this release includes the last of planned features, next ones will be finally catching up with missing art, polish and tuning. As I mentioned in previous news I still have plans for more features like gamepad support and static maps along with editor but finishing game art is now a priority. Again there is no OSX release, sorry. Today release 0.3.1 is out. This is a small release mostly with art updates and small bug fixes. There is one new feature - Experience points. From now on, each fight or trap in the doors will contribute to experience counter of each hero. That update is a small step towards save system which is the next milestone. Possibly there will be more releases in 0.3.x branch but this will not affect work on 0.4 one. Enjoy. PS. To all Mac users. There is no update 0.3.x update yet. I lost access to my build machine and possibly there will be big delays or no update for now. Sorry for inconvenience. New Dark Gates release is out. So what's new ? With 0.3.0 release now you can save your teams loadouts. You got your favorite team ? now you can save it before you start the game. Next time when you want to use same party, it will be waiting for you ready to load and play. Also 0.3.0 release brings difficulty levels. You can choose from easy,normal & hard. There is maybe some balance issues but this is were you step in. I need players feedback to adjust difficulty levels. Game also brings load screens. I do not regard it as a feature (who want's loading screens in the game ? ) but this indicate progress while loading game assets on slower machines. Please enjoy the new version an do give feedback as you can shape this way future of Dark Gates. Change: Draugr is stepping in for Glade. Change: Small changes to in-game descriptions. Bugfix: If monsters are found while exploring an item or bribe ends in failure then monsters starting the fight first. New release 0.2.1 is near. There is a good number of bug fixes and lots of art updates and hey Dark Gates will finally have some animations. There is no new features planned hence only a 0.2.1 which is focusing mainly on improvements. There is still missing 'save system' but please bear with me as this is not just simple save & load. There is more to it and hopefully it will be out with 0.3.0 release, which will make on that point Dark Gates feature complete (all my original design). After that I have already planned a lots of new features like gamepad support, static maps and even map editor (separate program). One more thing. With 0.2.1 release I would like to also introduce a limited edition purchase of DG. If you decide to support Dark Gates by purchasing Limited Edition you can become a hero in Dark Gates complete with your avatar for all to see. More info to come so stay tuned. Finally release 0.2.0 is here. This is a last free alpha release. Next versions of the game will be available via Desura as part of the alpha funding project. I would like to thank you all for your support and hopefully 0.2.0 will convince you to support future development at Desura. Alpha funding is there to make sure that Dark Gates can be finally released and provide a quality content. So what to expect in near future from DG ? Finishing, refining all the missing art and animations. Bare in mind that those are plans and please don't take them for granted but still this is the stuff that i want to include in this game either as a part of the official release or some post release DLC. Bugfix: Damage animation taken from traps is more constant. Bugfix: Selection in team stats menu is being cleared on re-entry.